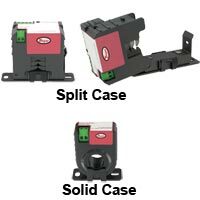 Current Transformers and switches have either solid or split cores as well as relay outputs, LED confirmation, and an adjustable set point. Some models feature an LED for visual confirmation that current is flowing through the device. 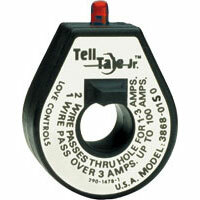 Tell Tale Jr.™ Open Heater Detector is designed to indicate an open heater or other resistive load. Several models are available for various applications. Installs easily in new or existing systems. 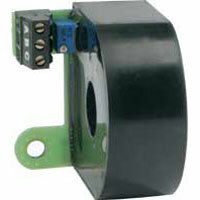 Current Transformer allows easy monitoring of the current flowing to your load. Easy to use. Available in a number of different ranges. Can be easily mounted. Some models feature an LED for visual confirmation that current is flowing through the device. Current Switch is ideal for monitoring whether fans, pumps, or motors are operating. All models have a built-in solid state output. Applications include BAS and HVAC. Current Transformer is a low cost alternative for measuring power and monitoring the operation of fans, pumps, or other equipment. Applications include BAS and HVAC. True RMS Current Transformer is a low cost alternative for providing true RMS output on distorted AC waveforms. 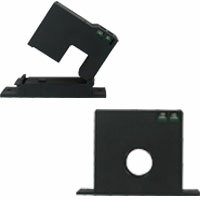 Each model offers three jumper selectable ranges to reduce the risk of ordering the wrong model. Current Switch is ideal for monitoring the operating status of fans, pumps, and motors. LED indicators. Adjustable models utilize a potentiometer to easily adjust the set point. Current Transformer measures the current consumption of pumps, fans, boilers, solar panels, and chillers for use in energy monitoring. Snap-on mounting bracket. Miniature Current Switch is ideal for monitoring the current usage in fuse boxes and small control panels. The no core version has terminal blocks which can accept currents up to 1 A directly into the unit.